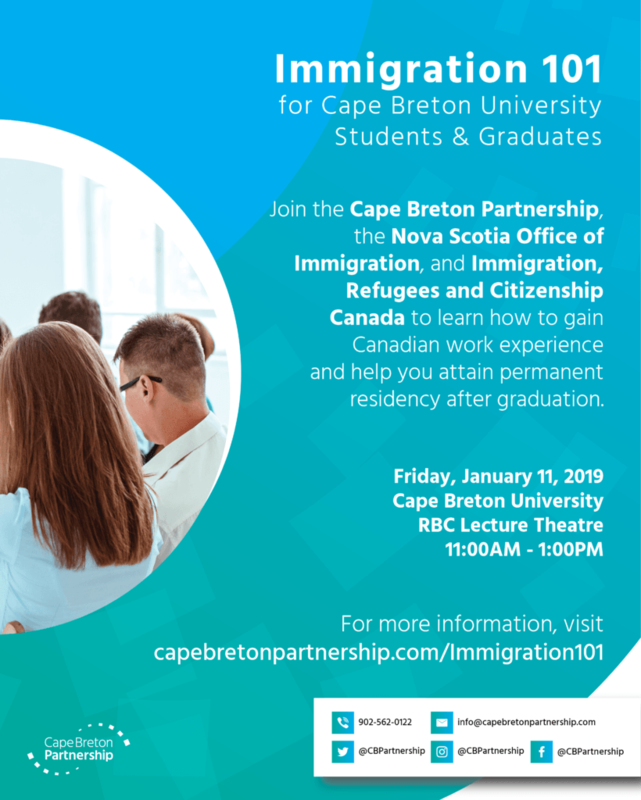 Join the Cape Breton Partnership, the Nova Scotia Office of Immigration, and Immigration, Refugees and Citizenship Canada to learn how to gain Canadian work experience and help you attain permanent residency after graduation. Immigration, Refugees and Citizenship Canada: Learn more about pathways to permanent residence for international students and how to gain Canadian work experience under the Post-Graduation Work Permit Program. 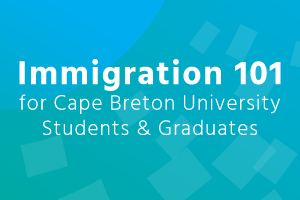 Nova Scotia Office of Immigration: Join the Nova Scotia Office of Immigration to learn how the Provincial Nominee Program and Atlantic Immigration Pilot Program can help you attain permanent residency after graduation.